Hundreds of thousands of people in our region rely on food donations. Join 6abc and Dunkin' Donuts in the fight against hunger. Pass the generosity, and make a world of difference! 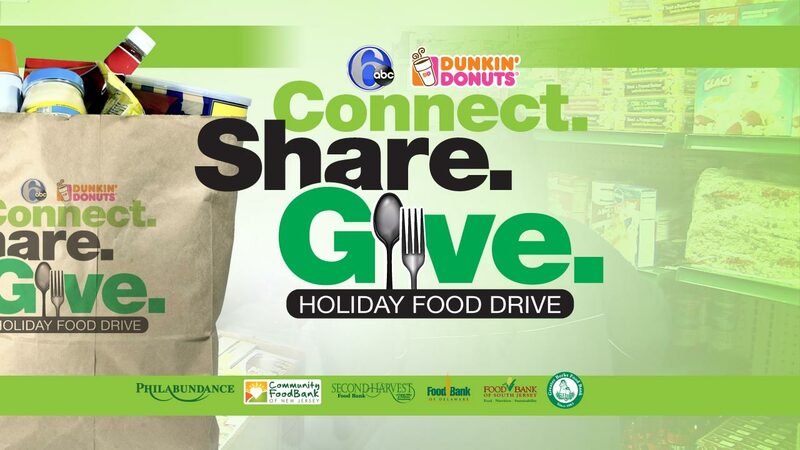 We here at 6abc are again lending a hand to help feed our neighbors in need. Join us Wednesday for our annual holiday food drive fundraising event. Sarah Bloomquist will again host the live phone bank. Volunteers and some special guests will be on the phones taking your donations from 4 to 6:30 p.m. To donate, call 1-877-940-6222.